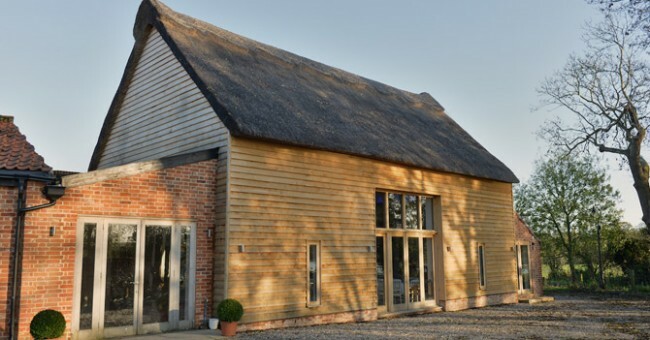 The Suffolk wedding barn has been exquisitely converted for civil ceremonies and functions. 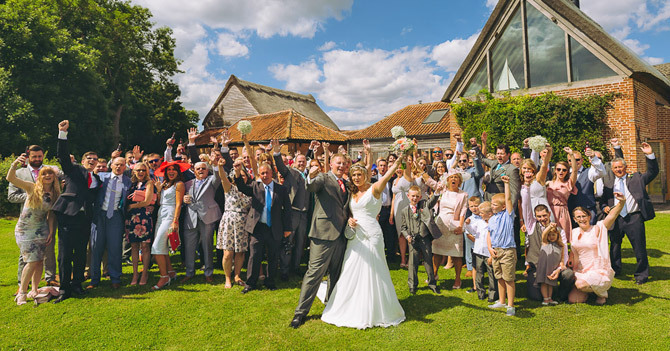 The Marsh Farm Estate wedding venue in Suffolk includes everything necessary for a perfect day to share with your loved ones. Our Grade II listed thatched wedding barn is perfect whether your wedding plans are for a small, intimate ceremony, or a lavish and grand event. 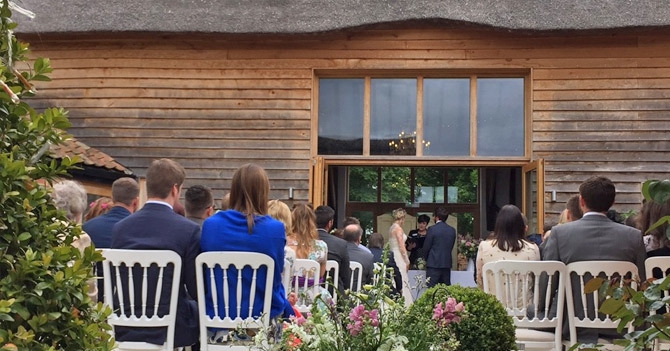 With a capacity for up to 120 guests for your civil wedding ceremony in the garden room or 178 in the Great Hall all of your loved ones can be a part of your special day. 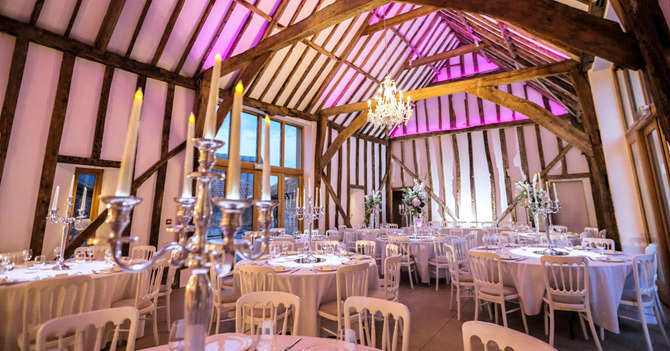 Our venue is one of the best wedding barns in Suffolk, notable for it’s beautiful Elizabethan oak timbers and huge glazed openings that allow light to fill the space. It is a very special place to have all of your loved ones around to share your special day. The barn has a stunning formal courtyard perfect for photographs and a drink after the wedding ceremony allowing you to enjoy the far reaching views out over the Suffolk countryside with the sun setting in the distance after the wedding breakfast. 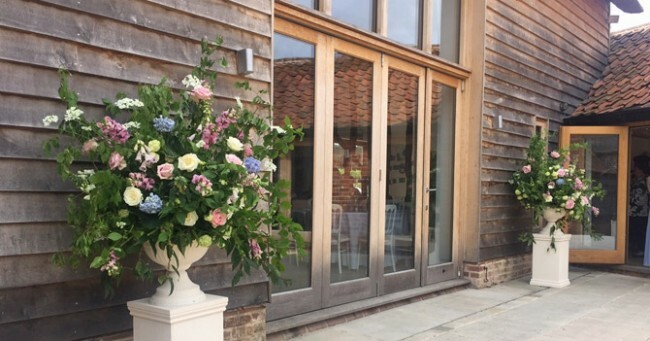 Our barn wedding venue Suffolk has been beautifully designed by a London interior design company for Suffolk barn weddings and functions. 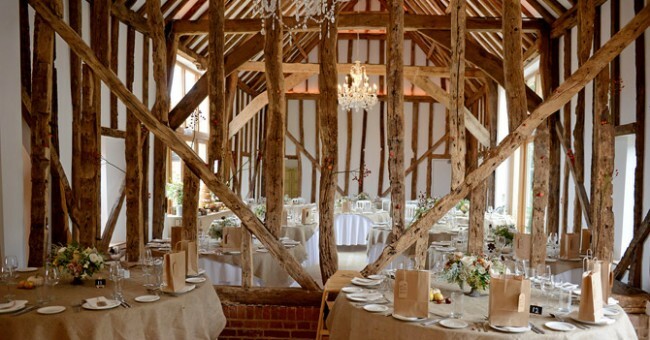 The light and airy wedding barn features ancient oak beams that have been lovingly restored, contrasted with opulent crystal chandeliers hanging throughout the barn add to the luxurious atmosphere. 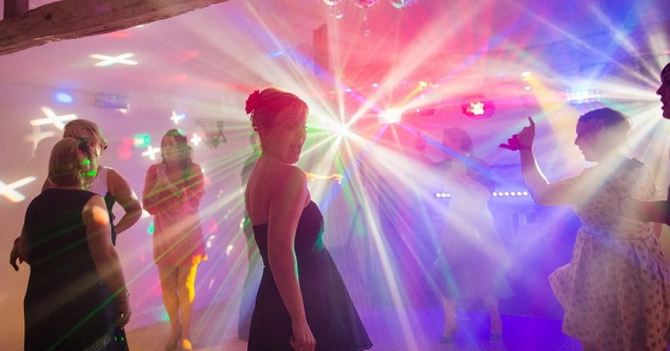 Adjustable colour changing LED lighting enables us to change the mood and suit the colour theme of your wedding. 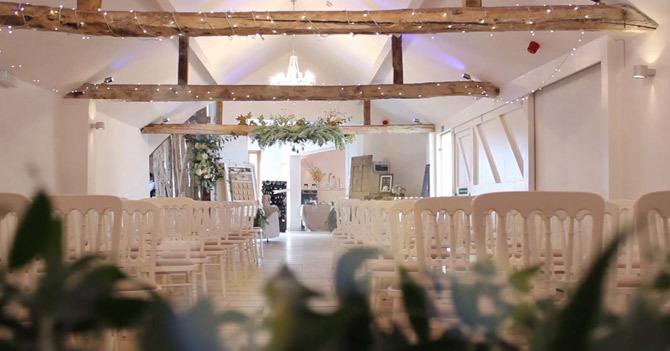 The barn wedding venue can be transformed following the ceremony for you reception and evening party. The wedding barn has been specially designed with space for a DJ or live band to set up and provide the entertainment for your guests behind the scenes ready for you to enjoy the party as soon as the wedding breakfast is finished. 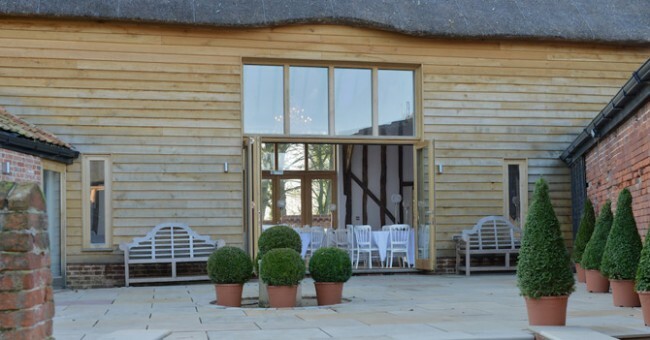 Our spectacular oak and granite licensed bar is available to your guests, fully stocked with top shelf spirits, quality wines and draught beer on tap. 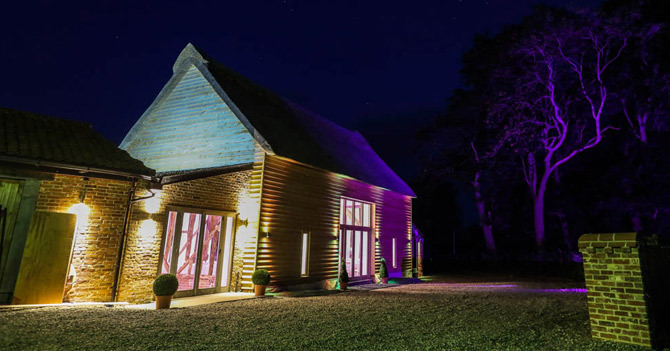 Thanks to a clever LED lighting system, the bar can be lit up to match your wedding colour theme perfectly. The barn is completely wheelchair accessible in all areas with dedicated parking outside. "We just wanted to say a "Huge Thank You". What an amazing weekend we have had. You just made the whole experience a joy with nothing being to much trouble. Tim just went above and beyond. We thank him so much for everything he has done to make the weekend just perfect. 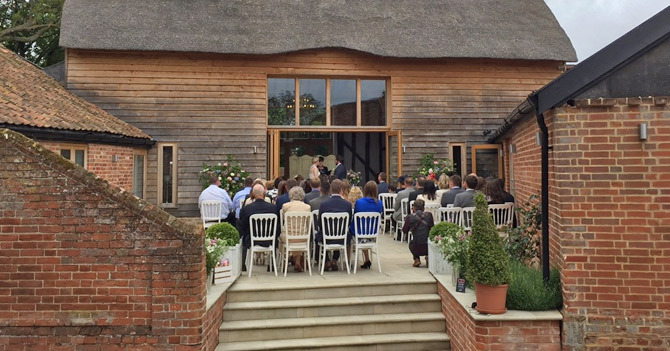 Hannah and Aaron could not of had a better venue for their wedding, we are only sorry that we do not have another daughter so we can do it all again. 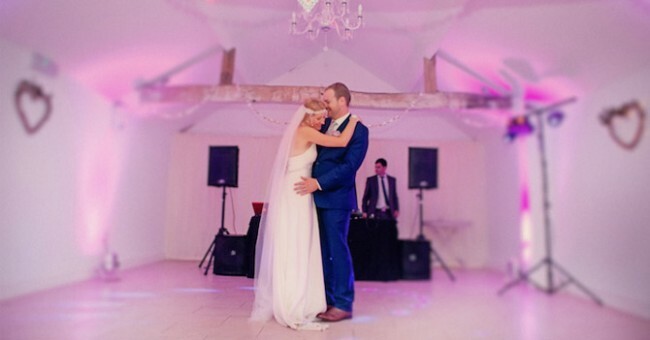 We feel so lucky to have had the experience we have had and we enjoyed every single second."